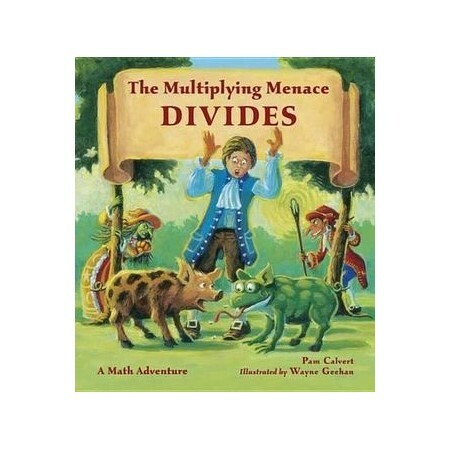 Readers will put their division skills to use in this clever math adventure follow-up to THE MULTIPLYING MENACE. After being banished to the Abyss of Zero, Rumpelstiltskin is back, and he’s stirring up more trouble than ever. Together with his sidekick, a witch named Matilda, Rumpelstiltskin plots his revenge on Peter and uses his magical powers to divide the kingdom into frogs. Peter and his dog, Zero, must locate the Great Multiplier and find a solution that will break the Great Divide before Rumpelstiltskin has a chance to combine the two mighty math sticks. Can Peter once again save the kingdom in time, or will it meet a green and warty fate? Young readers will learn all about dividing by whole numbers and fractions, as well as division rules for equations involving zero, all while follow Peter and Zero on another adventure. A perfect mix of math, fairy-tale, and fun, THE MULTIPLYING MENANCE DIVIDES will get STEM/STEAM readers excited to solve each puzzle one number at a time.